- Call customers who have already shown interest in our projects / new clients and explain to them about the projects and send them details through emails. - Prepare necessary paperwork (contracts, leases, deeds, closing statements, etc). 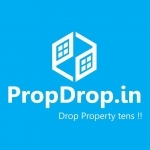 - Maintain and update listings of available properties. - Smart telecaller with convincing power & good communication skills. - Ability to convince and sell projects.